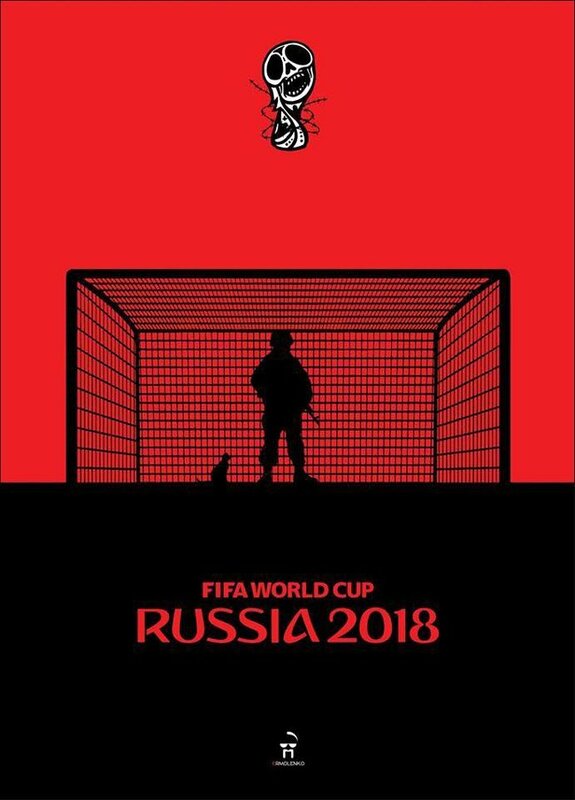 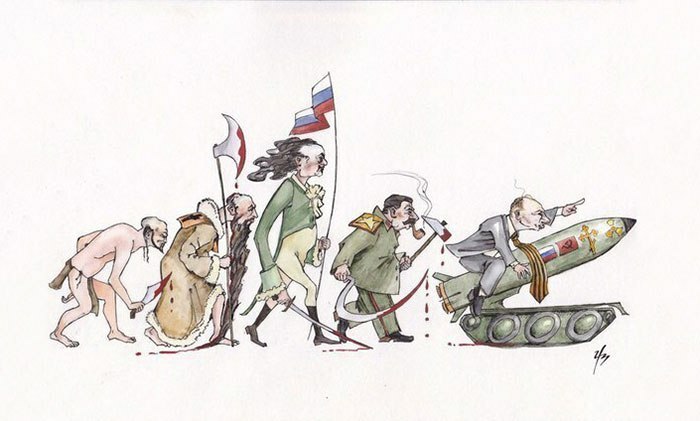 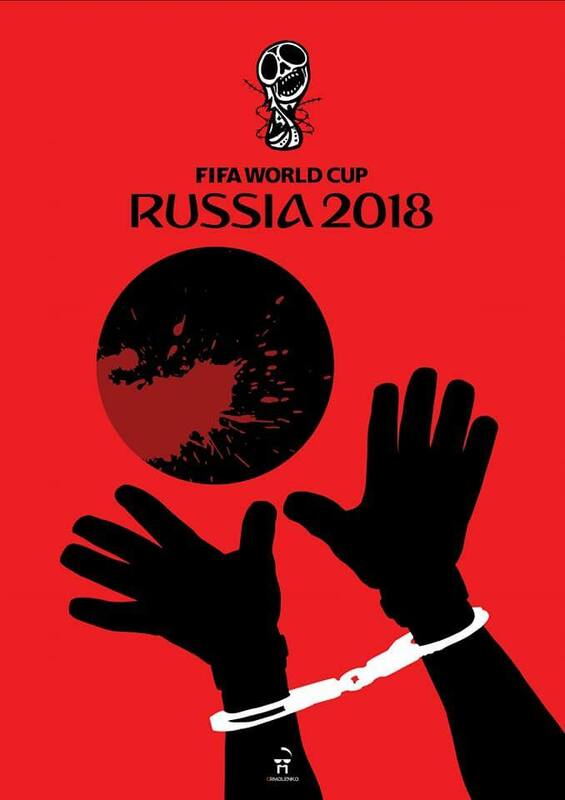 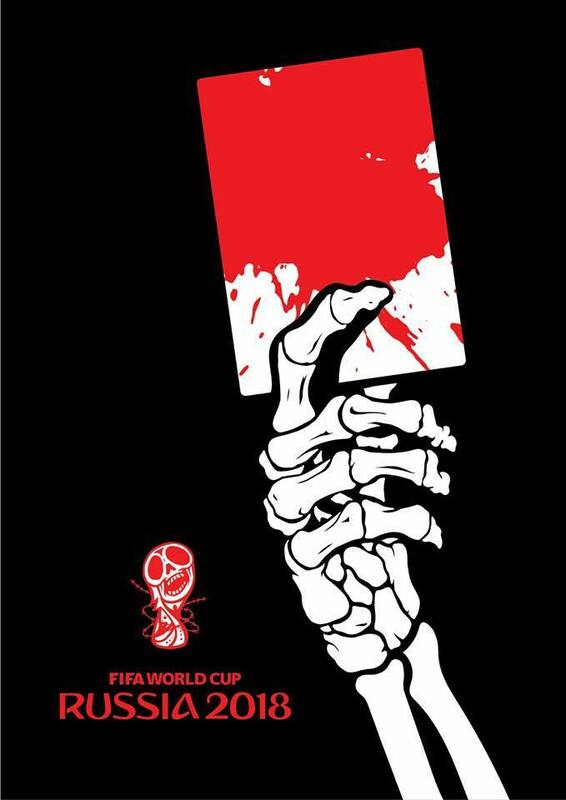 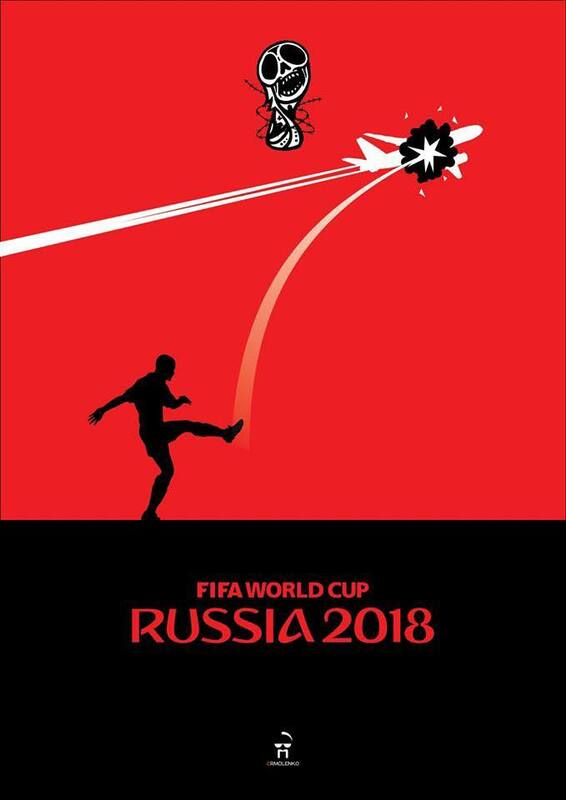 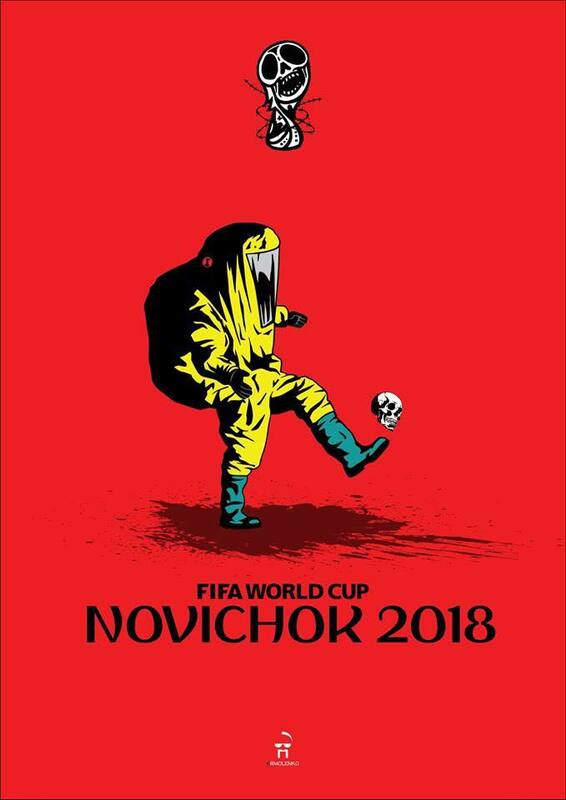 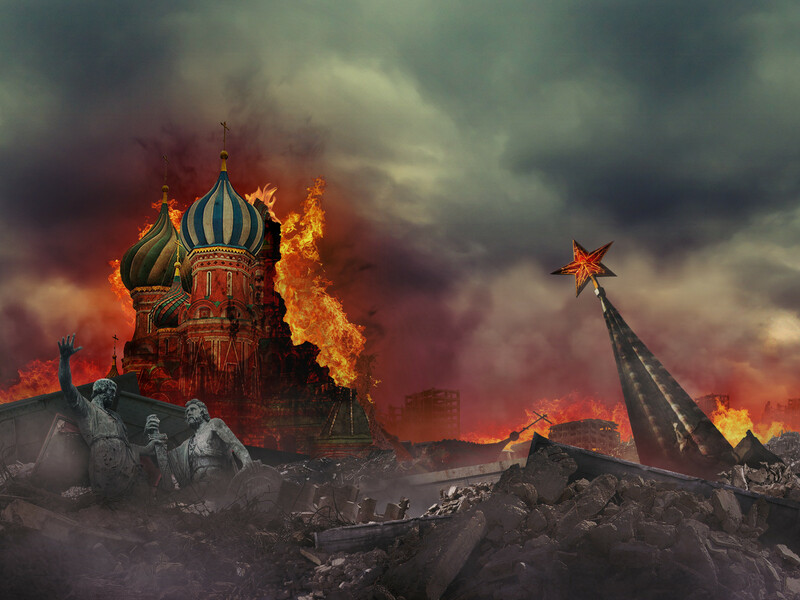 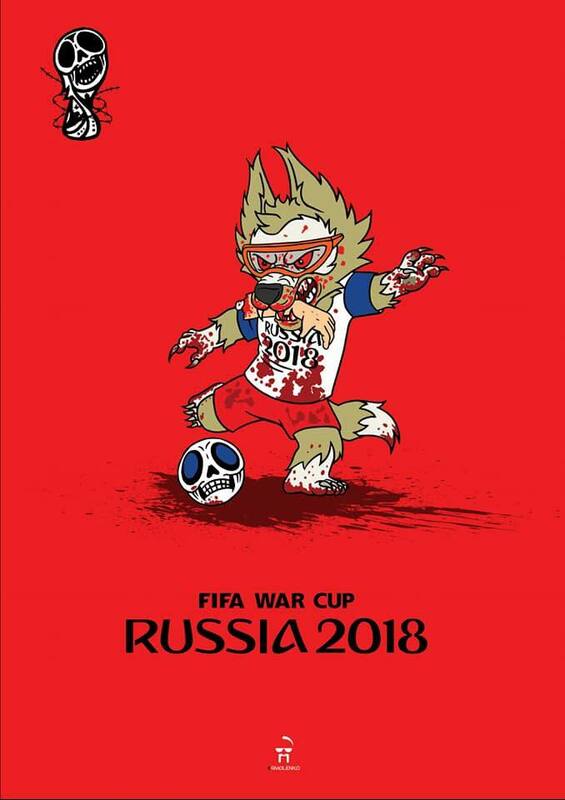 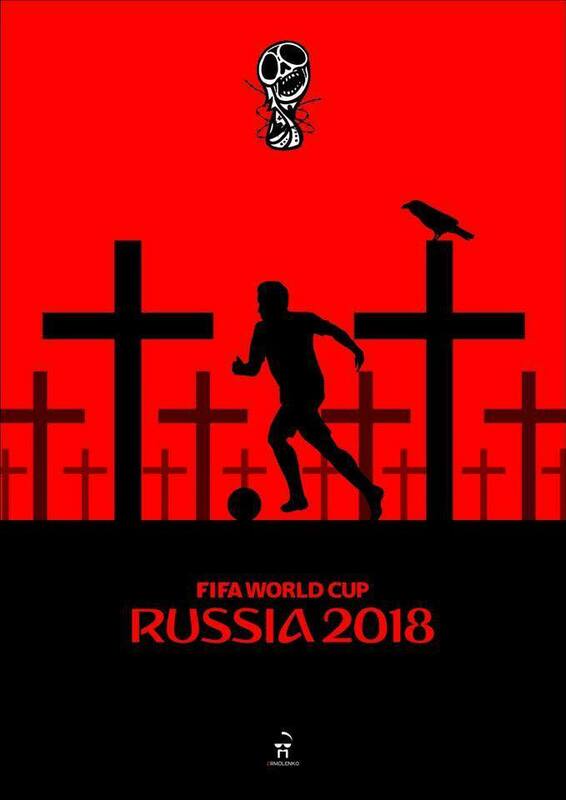 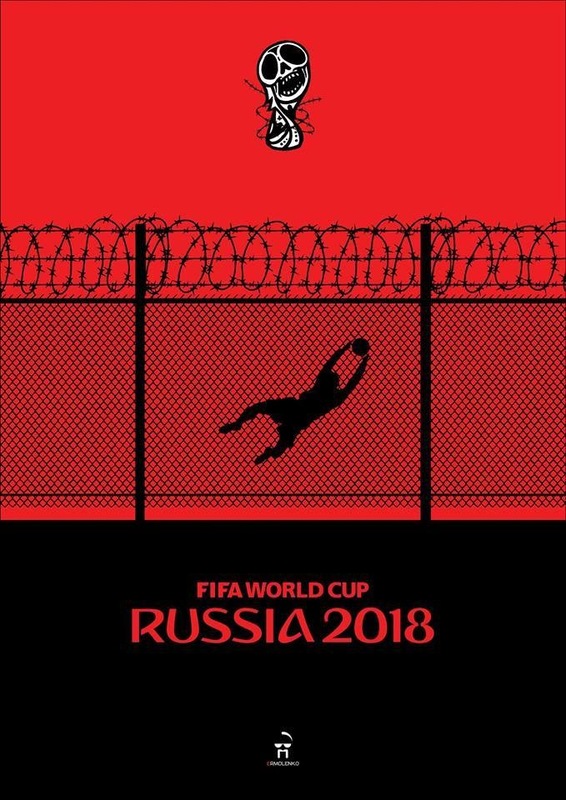 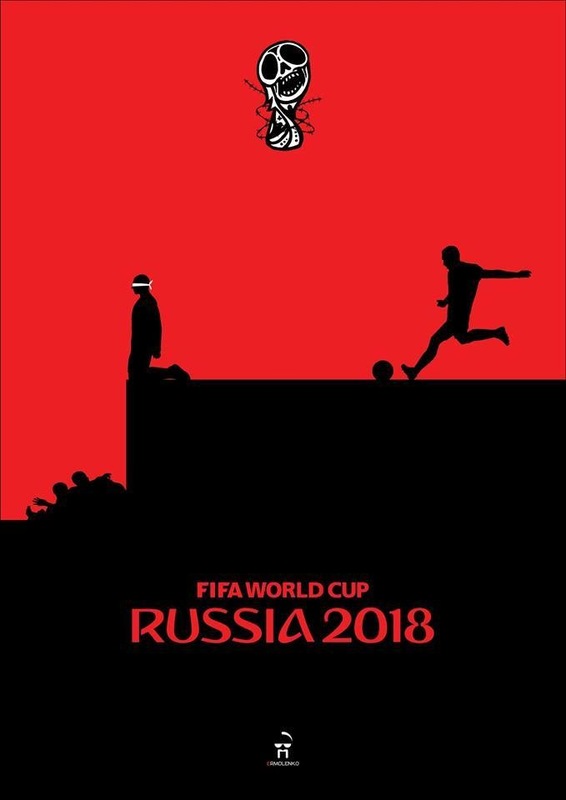 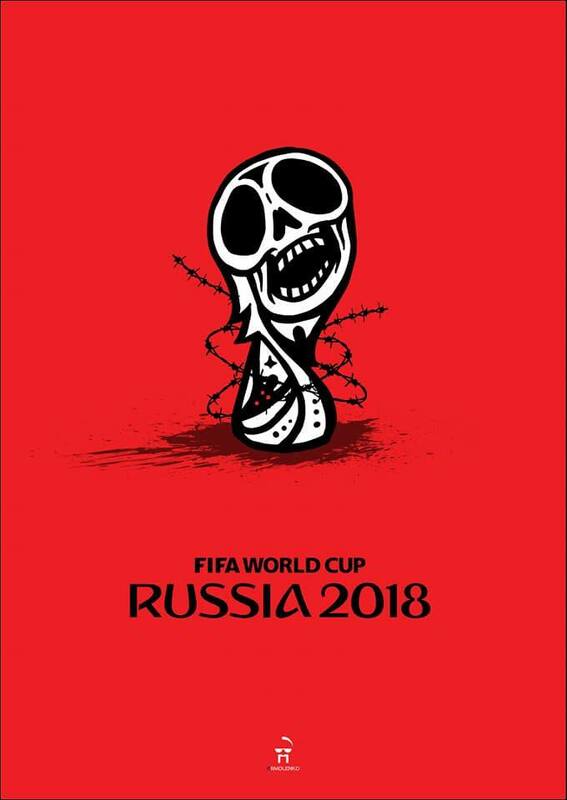 Here’s a collection of posters made by Ukrainian cartoonist Andriy Ermolenko, showing a true nature of TerroRussia which bought its privilege to host FIFA World Cup 2018. 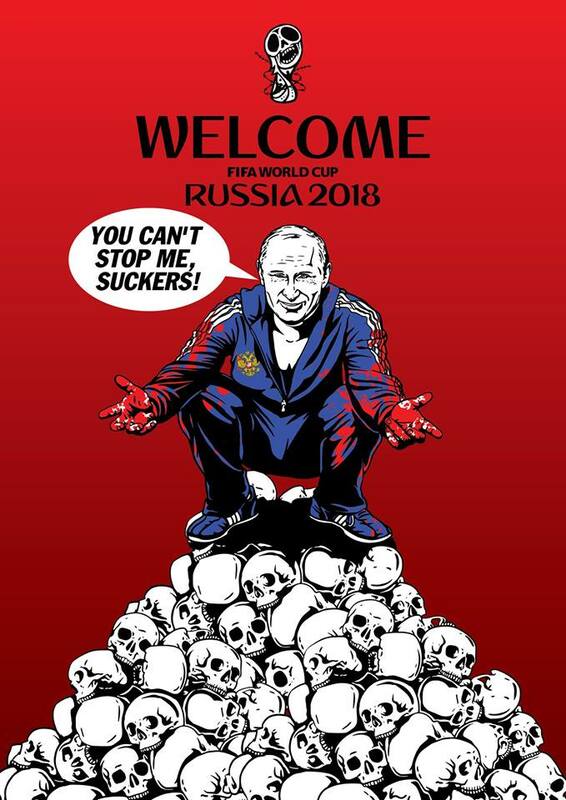 Needless to say, Ermolenko got banned by Facebook leftists who are well-known to protect the interests of commie scum. 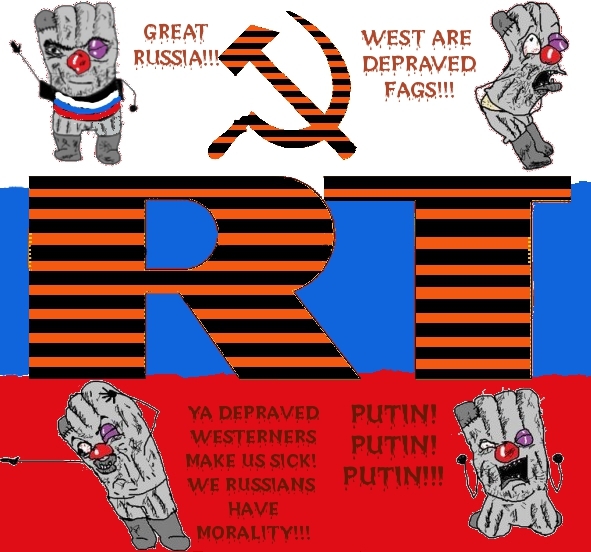 Currently he is unbanned (after the unban petition was signed by too many users to keep it under the rug), but I’ve decided to post those pictures here just in case. 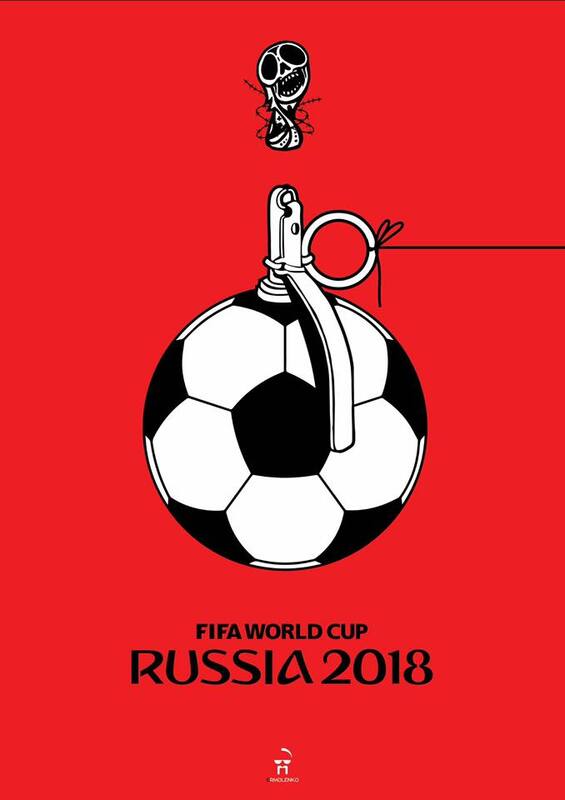 The last one looks especially insightful since russian terrorists were really using IEDs disguised as balls in Donbass, Afghanistan and Chechnya. 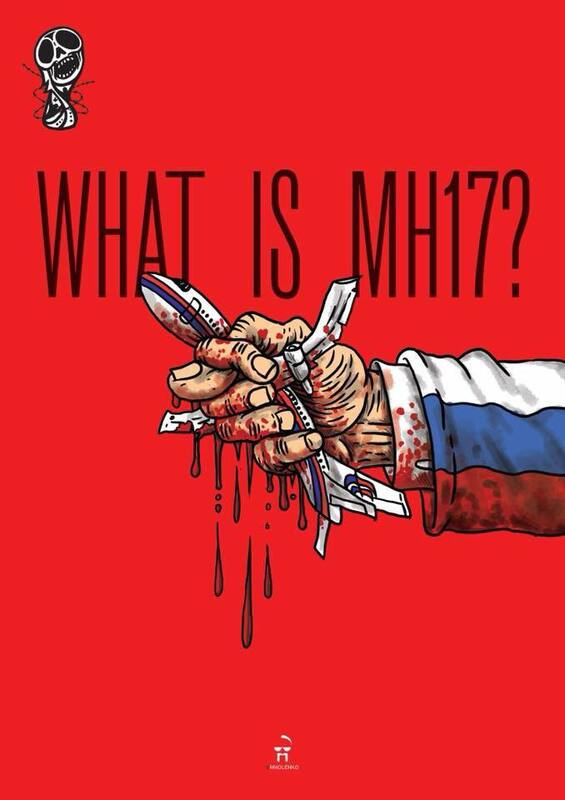 Russia is not just a sponsor of terrorism. 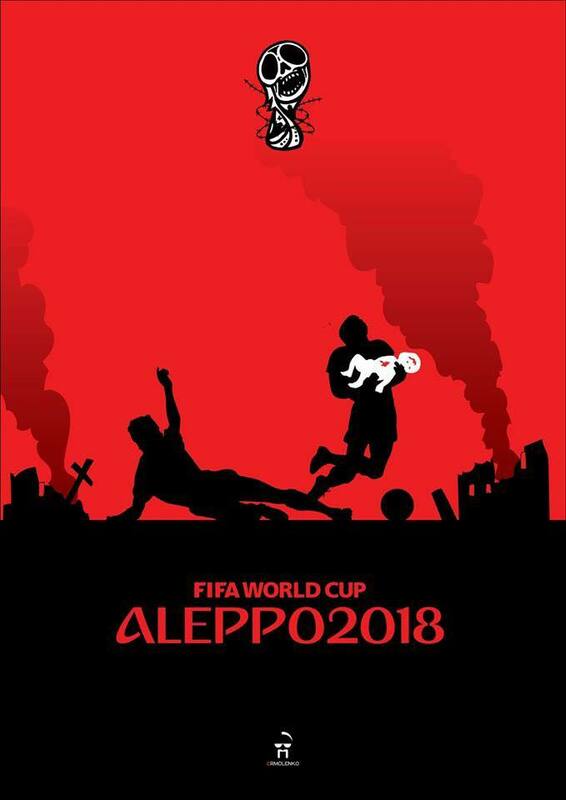 It’s a terrorist state that must meet the only end deserved by thugs and terrorists!